Thank you for visiting Three Oaks Christian School’s website. We are very excited about what is happening at our school located in Decatur, Indiana, and we are happy to share our unique education experience with you. Our mission is to partner with parents to educate and disciple children consistent with a biblical worldview, teaching them to be lifelong learners able to discern, articulate, and defend truth in a compelling, winsome Christ-like manner. Three Oaks Christian School offers a distinctively different set of goals for our students. We focus on educating the whole person – mind, body, heart, and spirit, and we challenge our students to strive for excellence in each facet of their personhood. In the end, we want our students to become well educated lifelong learners with a commitment to walk with Christ. We hope you will take time to explore our website and familiarize yourself with what Three Oaks has to offer. Truthfully, it is impossible to experience the warmth of the Three Oaks family online. We invite you to visit our school and meet us. Here, you will come to better understand the family that is Three Oaks Christian School and its commitment to excellence in education and life in Christ. 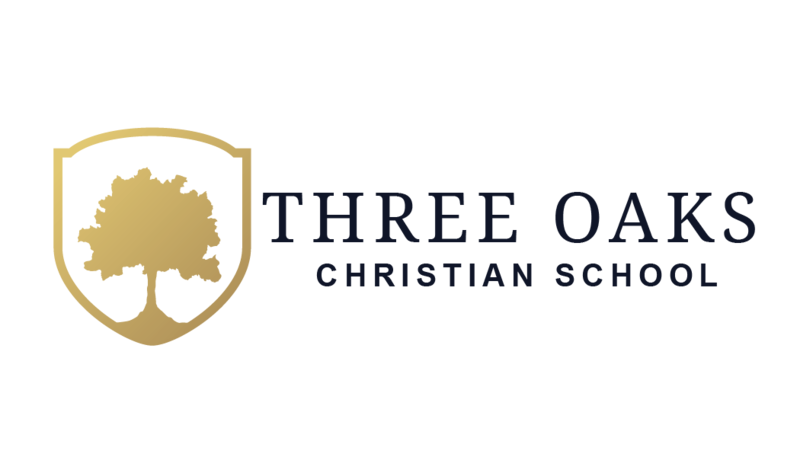 The Vision of Three Oaks Christian School is to make Christian education within the economic reach of the mission field we serve (Christian families). We endeavor to provide PreK-12 Christ-centered education of core subjects with a biblical worldview. We will create a physically, emotionally, mentally, and spiritually safe environment. Teachers and parents will foster character development and learning conformed to the development of children through a time tested classical methodology based on the trivium. The trivium recognizes students pass through three stages in their journey of learning. The Grammar stage emphasizes memorization of facts. In the Logic stage students are introduced to the rules of proper argumentation. Finally, in the Rhetoric stage, described as “the art of a good man writing and speaking well”, students articulate firmly held convictions and defend those truth claims against all opposition. We will prepare young men and women for a lifetime of learning, discerning, expressing, sharing, and living God’s Word in His world. Students will develop into well rounded graduates grounded in a biblical worldview based on a deep understanding of the Bible and the created world via the core subjects. Their character will mature through discipleship of faculty and parents in the context of the classroom, fine arts, athletics, and service in the community. Through the classical methodology they will become discerning thinkers, articulate communicators, and confident apologists. We will encourage a biblical model of parenting through our active support of parents in their primary biblical responsibility to their children. Focusing on educating and equipping parents, we will foster a community of like- minded parents and an inclusive educational experience that involves parents with students and faculty, offering choice in the level of support from the school to fit varying student, family, and financial needs.